All too many brands, blogs and businesses have run head-first into the winds of competition at some point or another. When competing for the attention of a particular niche or audience, it can be difficult to stand out from the rest in terms of delivering content that is useful, engaging and unique. Unfortunately, many brands and blogs simply give up on trying to be unique, which often leads to lacklustre performance for them in search, social media and beyond. 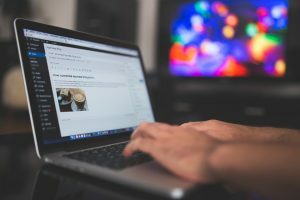 Today, we’ll review some easy steps you can take that’ll help in producing unique posts that cover new and exciting topics and angles in your niche. Before you can truly be sure about which stories and forms of content are unique, you need to explore what your competition is doing. You should already be aware of the names and websites of your competitors: give each a quick glance and see what they’ve been discussing. If you have a specific idea in mind already, search their blogs and websites for any instances of the topics in question. This can save you a lot of time and help you determine whether an original idea is truly all that original. Many of the best forms of content are inspired by those who dared ask themselves a question. What would you like to see in terms of content? There are a variety of angles and topics that may be of interest to you, but that has not been covered by others due to a perceived lack of interest or some other phenomenon. Pinging users with fresh content is always a good idea, but pinging your own brain for ideas about what your audience may enjoy is an even better idea. Even the silliest of ideas may pan out to be great from a content perspective, as even an insignificantly small segment of the internet who has interest in this wacky idea can mean huge amounts of traffic when you’re the only one covering it. All too many bloggers in many different niches and industries are afraid to provide anecdotal, personal or biased insight. Because even within a small niche there is a need to balance conflicting opinions, many bloggers steer clear of showing their personal opinions in one post or another. Most bloggers are not providing true opinion in the stories and topics they cover: dare to be different. It is possible that you might end up pinging users with controversial or uncommon beliefs, yes, but this can also be a great way in which to draw new attention to your brand and attract a variety of first-time readers. Every post doesn’t have to feature your opinion, but give it a try once or twice and see if it makes a difference. Think of it as another form of A/B testing. A great idea is just around the corner, but it often will require you to be unique and get outside of the box. Have you had a great idea before but refused to write about it because you didn’t think it would go over well? Have you ever delivered a popular piece of content that you were sceptical about when you first began? We’d love to hear your stories below, as would our readers.